Remember the time when Prince William and his wife Kate got married and waved hands from the balcony of their Castle? Sigh! As a kid I remember, dreaming of marrying a prince some day and being the Queen living her life in luxuries abundant! Also, the other time, when I watched two movies with a somewhat ‘Japanese’ connection- Memoirs of Geisha and Rab Ne Bana Di Jodi! 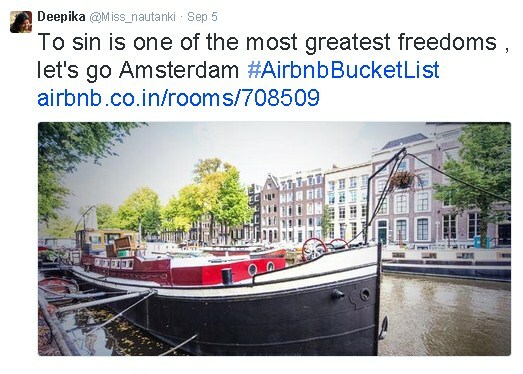 And then when the ‘Queen’, Kangana Ranauat ran through the canals and streets of Amsterdam…! 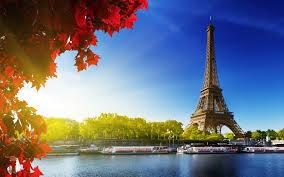 Oh, these places had to make it to my travel wish list. In what seems to be a divine intervention or may be just the universe conspiring to turn travel dreams into reality, Airbnb, has joined hands with Shivya Nath and announced a super cool travel contest on the social media- Facebook and Twitter primarily. For the uninitiated, Airbnb is a trusted community marketplace for people to list, discover, and book unique accommodations around the world — online or from a mobile phone. 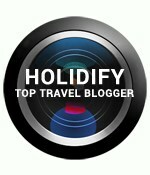 Shivya, obviously we all know is one of the popular travel bloggers from India! So what’s the fuss all about? Nothing. First sign up with Airbnb with this link and gain an instant bonus of INR 1,500 for use towards your stay during your next trip. 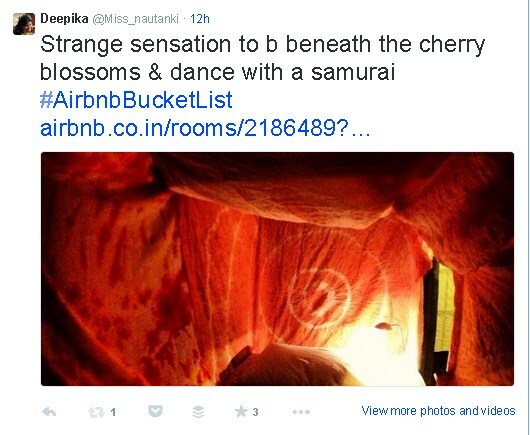 Next, one needs to browse through Airbnb’s Hand-picked Wish Lists or other awesome stays on Airbnb and creatively share an Airbnb experience you want to tick off your bucket list, using #AirbnbBucketList. If one is not on Twitter, then one can post their answer as a comment on The Shooting Star Facebook page‘s contest post. The only caveat here is that, it’s open to Indian residents ONLY. Once, you have agreed to all terms and conditions, you are done! Now, 3 grand prizes worth INR 30,000, INR 20,000 and INR 10,000, await your turn to book Airbnb stays anywhere across the world. The grand winners will be evaluated and announced by Shivya herself. 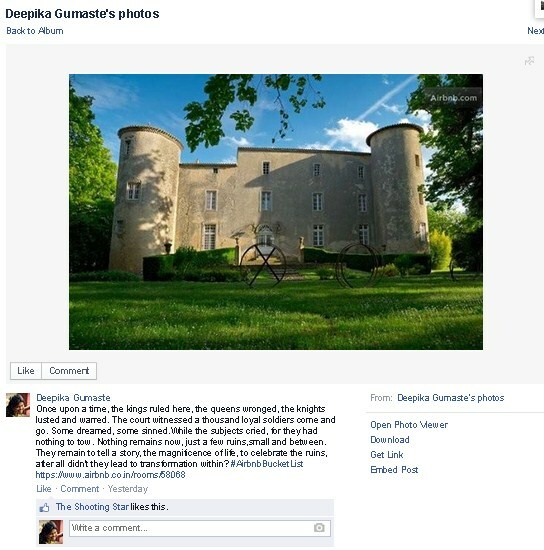 This entry was posted in Contest, Facebook, Travel, Travel blogging, Travel writing, Twitter and tagged contest, Shivya Nath, The Shooting star, Travel. Bookmark the permalink.